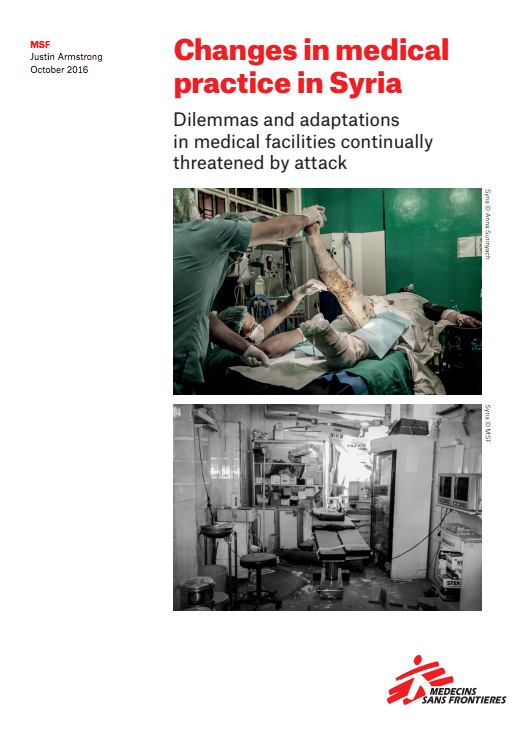 Humanitarian medical practice is challenged in different ways in highly insecure contexts. In some cases additional medical capacity cannot be mobilized due to extreme insecurity and support is reduced to whatever can be done from a distance. In that case, the range of options is limited: remote control, co-management, telemedicine… In other cases, medical structures are targeted and the hospital, far from providing refuge for patients, can represent an additional risk. This has a significant impact on the populations’ health seeking behavior as well as on the medical practitioners’ working conditions and ability to provide the necessary care. This panel will explore this theme and provide specific examples of challenges and adaptations in Somalia and Syria.